The bar at the center of the controversy responded after receiving a wave of backlash. 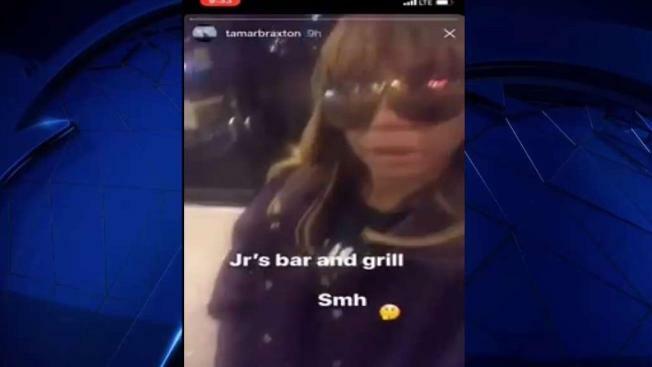 Singer Tamar Braxton took to social media saying a Dallas bar turned her away Monday night for looking "like a gangster." The bar at the center of the controversy, JR's Bar and Grill on Cedar Springs Road in Dallas, responded after receiving a wave of backlash. The eatery acknowledged Braxton was turned away, but did not elaborate as to why she was denied entry. "Our posted policies regarding entrance into JR’s Bar & Grill are to both ensure the safety of all our customers and to certify that our staff are in accordance with the law when serving alcohol – without exception," JR's Bar and Grill said in a statement released to NBC 5. "In this instance, we were simply following our published procedures. It would have been a beautiful experience and honor to add Tamar Braxton to the long list of celebrities who have enjoyed JR's as a safe and inclusive entertainment venue. We are deeply saddened that she didn't experience the love that awaited her inside." Braxton is in town to perform at The Great Xscape Tour at Verizon Theatre on Dec. 13.